Have you seen my published work? 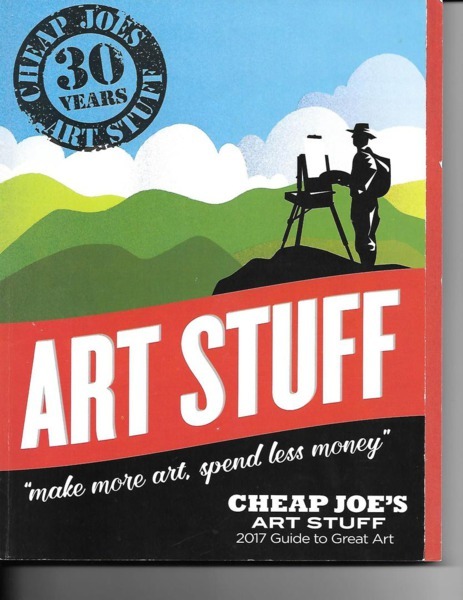 I am one of 124 artists from 21 countries chosen by Kennedy Publishing. ﻿Three of my images were chosen: "Sweet Dreams", "Rainbow Agave" and "Peony in Pink, Lintao, China" for a 2-page spread. The 3 paintings are pictured below. This is what happens once you begin doing Zentangle, a meditative style of graphic design. 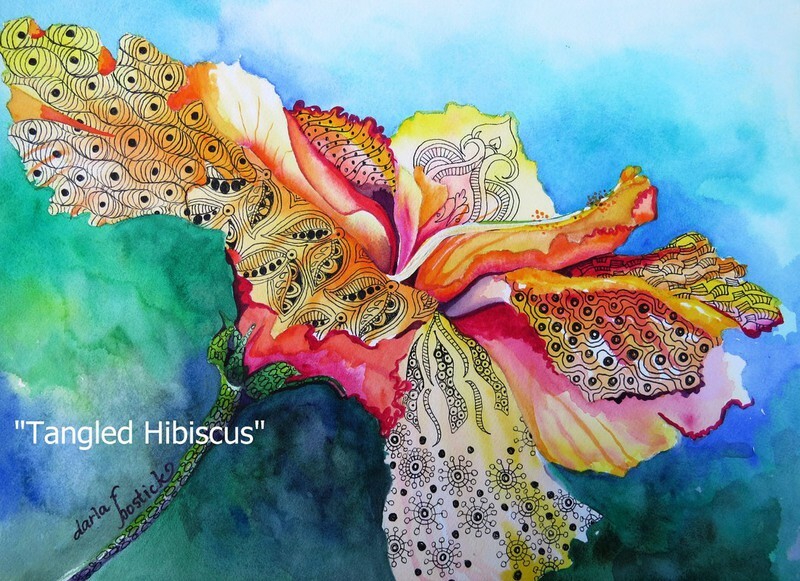 This particular image began as a watercolor I painted in Cabo San Lucas, Mexico titled "Cabo Hibiscus." Several years later, I improved it with Zentangle and it is now "Tangled Hibiscus." 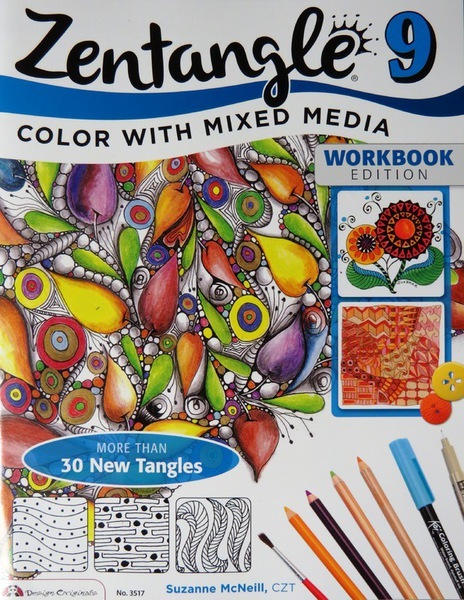 It is one of two of my paintings included in Suzanne McNeill's book, "Zentangle 9." These are the covers of my Calendars, begun in 2011. To see all the inside imaes, go to the Calendars tab above. As the traveling 2012 National Watercolor Exhibition passed through Texas in Grapevine, the Society of Watercolor Artists in Fort Worth was included. This is from the NWS magazine.